A week after Alan Turing was granted a royal pardon, a clutch of contemporary British IT luminaries has been recognised in the New Year’s Honours list. Jeni Tennison, technical director at the Open Data Institute (ODI), has been made an Officer of the Order of the British Empire "for services to Technology and Open Data". Before joining the ODI, Tennison was the technical architect and lead developer for Legislation.gov.uk, which, said a statement from the Institute, formed the basis of The National Archives’ strategy for bringing the UK’s legislation up to date as open, public data. Before taking up her post at the ODI, Tennison worked with Shadbolt on the early linked data work on Data.gov.uk. She has also contributed to international standards through the World Wide Web Consortium (W3C). She was appointed by Tim Berners-Lee to the W3C’s Technical Architecture Group in 2011. Mike Bracken, executive director for the Government Digital Service, has been enlisted as a Commander of the Order of the British Empire [CBE] "for services to Digital Public Services and voluntary service in the London Borough of Hackney". Bracken is a former head of technology at the Guardian and was named as the sixth most influential person in UK IT in this year’s Computer Weekly UKTech50. He is responsible for improving the government’s digital delivery of public services in a cross-Whitehall role. His team launched Gov.uk. Iain Gray, chief executive officer for the Technology Strategy Board, has become a Commander of the Order of the British Empire for "services to Science, Technology and Innovation". Warren East, lately chief executive at ARM Holdings, also received the Commander of the Order of the British Empire award for "services to the Technology Industry". 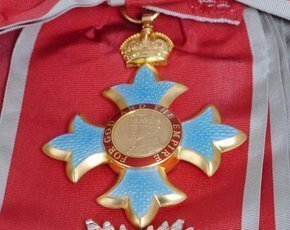 William Crothers, the government’s chief procurement officer received a CBE for “services to Government Efficiency and Commercial Capability”. In total, 1,195 people received an award. Science and technology made up 2% of the total.